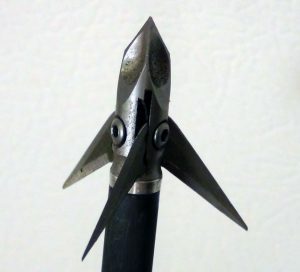 I was introduced to this broadhead by one of the Ramcat pro staffers, Mike Lopez . Mike just raved about this broadhead and how absolutely awesome it is, so I decided to find out for myself. After opening the package, I noticed that the Ramcat broadheads are incredibly sharp on both the front and the back of the blades. 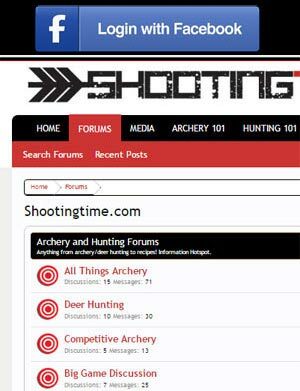 I started to shoot them in practice and noticed from the start that they were very accurate. The second thing that I noticed is that you have to make sure that they will fit in your quiver because of their large 1 3/8 inch cutting diameter. Not all quivers can accommodate a broadhead that large. Another thing that I noticed is that when the blades hinge forward it does loosen the screw that holds them in place so you need to tighten them down after each shot. I do this walking back to my bow after pulling my arrows. I also noticed that after several shots, the tips of each blade began to curl just a little bit, however it did not seem to affect the accuracy. The first animal that I harvested with the Ramcat broadhead was a doe and I actually shot her through the near side scapula and got a complete pass through. The deer only went about 15 yards before expiring. After several more animals, it has always been the same result, animal down within sight. Ramcat broadheads come very sharp. They cause a lot of damage. Their ultra sharp blades are very easy to replace. The blades will dull a little easier than others that broadheads I have shot. Not all quivers will accommodate their fixed blade size. 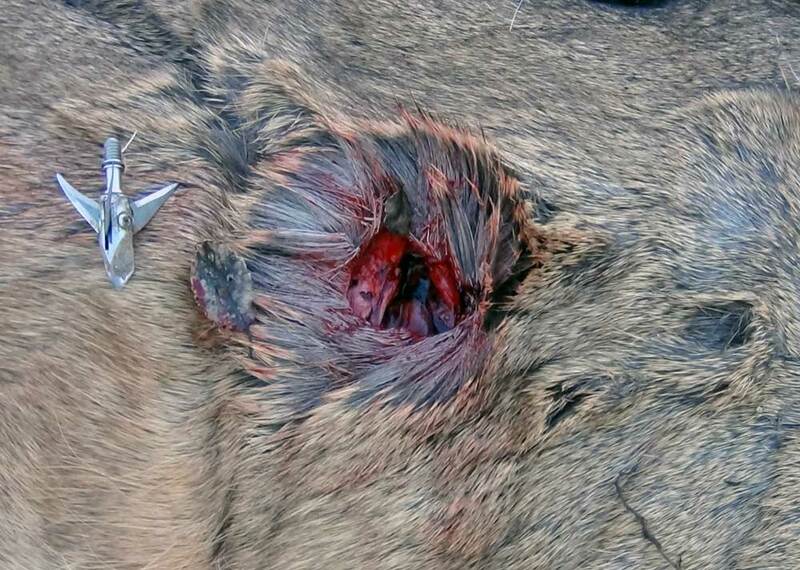 You will want to index your broadheads to make sure you have clearance. 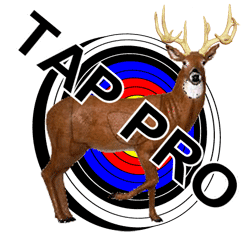 For more information on Ramcat Broadheads, visit their website by clicking here.